Hotel Seril 2 places you within a 10-minute stroll of Calis Beach and Sultan's Aquapark. This 46-room hotel has a bar/lounge along with conveniences like an outdoor pool and free in-room WiFi. Start each morning with buffet breakfast, available for a fee from 8:00 AM to 10:00 AM. Savor a meal from the comfort of your room with room service, entertain your taste buds with a drink at the bar/lounge, and mingle with other guests at the free daily manager's reception. An LED TV comes with satellite channels, and guests can stay connected with free WiFi. The bathroom offers hairdryers, free toiletries, and slippers. Other standard amenities include a balcony, a minibar and a safe. 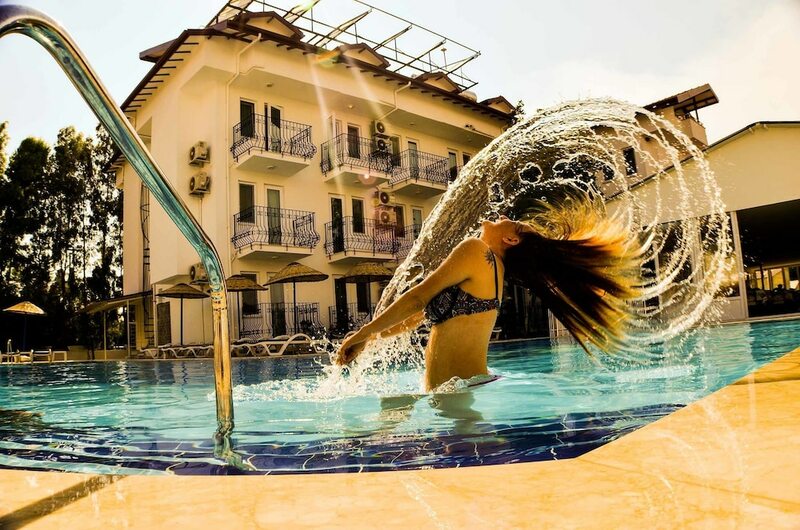 At Hotel Seril 2, guests enjoy features like an outdoor pool, a children's pool, and free WiFi in public areas. You can take advantage of free off-site parking, along with an airport shuttle (available on request) for EUR 29 per person one way. The 24-hour front desk has multilingual staff ready to assist with concierge services and luggage storage. Additional amenities include a library, express check-in, and express check-out.